This year, OSHA implemented a new Injury and Illness Tracking Rule that will likely impact your business in some hidden ways. The new rule requires electronic reporting of injury and illness data for every business establishment with 250 or more employees, and certain businesses with 20 to 250 employees that OSHA considers to be in "high-risk" industries. In addition to expected high-risk industries like construction and manufacturing, the list also includes some unexpected businesses, such as retailers, warehouses, lessors of real estate, and hotels. So, if you are a small business, be sure to check your industry to see if you are in the high-risk category. The hidden impact is that OSHA intends to publish this data on their website for all to see. The agency hopes to drive enhanced compliance through "behavioral economics," as companies with poor safety records may see customers and prospective employees making buying decisions based on this data. A similar approach has worked very well with the publishing of health department inspection records for restaurants, with foodborne illnesses going down and revenues for "A" rated restaurants going up. OSHA will also likely utilize this data to target specific businesses for inspection. Currently, OSHA only requests injury and illness logs when performing an inspection, so the agency does not have a great "radar" for targeting specific businesses with poor safety records, unless they have received employee complaints or incurred fatalities or other major reportable events. 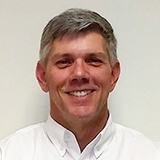 Steve Long has more than 29 years of experience as both an engineer and geologist. As Principal-in-Charge of Intertek-PSI's environmental services division, he is in charge of oversight of the environmental programs at the highest level. This includes implementation of quality assurance programs, preparation of technical design and report preparation standards, auditing of operations, assisting with complex technical projects, and assuring that all Intertek-PSI projects meet internal quality requirements and client expectations.